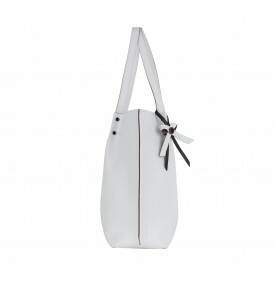 The shopping bag is an ideal and capacious accessory for the woman who never wants to separate from her bag. 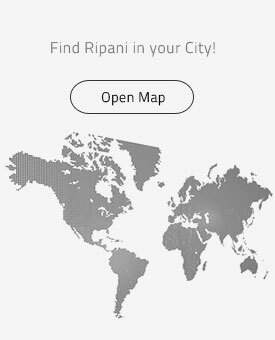 RIPANI's shopping bags are made in Italy, directly in the original factory located in Tortoreto - Abruzzo (Italy) where the production is done in a traditional way, with great attention for detail, refinement of workmanship and using quality leather. 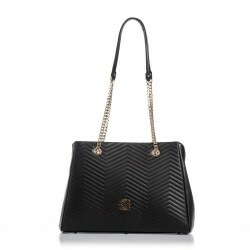 Leather bags, designed for women who want to take care of their look with a fashion and glamor accessory, to always have an elegant, luxurious and original style, at an affordable price. 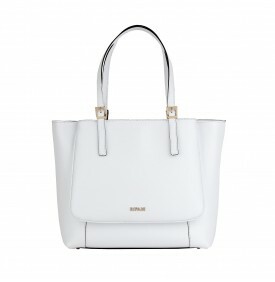 Saffiano leather shopping bag, white color. Two comfortable zipped pockets with magnet clousure. Metallic external logo and internal logo on metallic label. Zipped lining and mobile phone pocket. 100% Made in Italy leather bag. Gold-plated nickel-free galvanic. Preserved in the appropriate cloth bag. 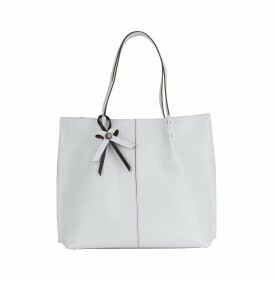 Striped saffiano leather shopping bag, white color. Logo on metal pendent button. Zipped lining and mobile phone pocket. 100% Made in Italy leather bag. Nickel-free galvanic, gunmetal color. Preserved in the appropriate cloth bag. 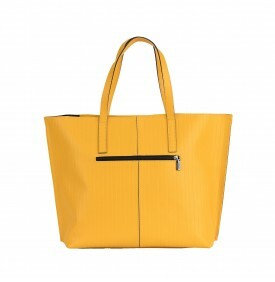 Striped saffiano leather shopping bag, yellow color. Logo on metal pendent button. Zipped lining and mobile phone pocket. 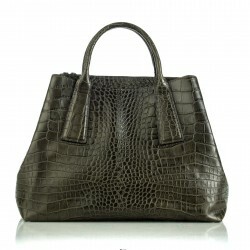 100% Made in Italy leather bag. Nickel-free galvanic, gunmetal color. Preserved in the appropriate cloth bag. Perforated and laminated leather shopping bag, copper color. Double leather and chain long handles and short handles. Zipper. External fire mold logo. Internal logo on metallic label. Zipped lining and mobile phone pocket. 100% Made in Italy leather bag. Gold-plated nickel-free galvanic. Preserved in the appropriate cloth bag. 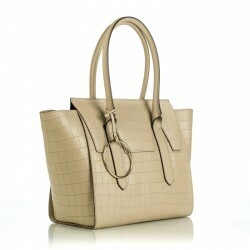 Leather shopping bag with print crocodile effect, rope color. Zipper clousure. Zipper inner lining and cellphone pocket. 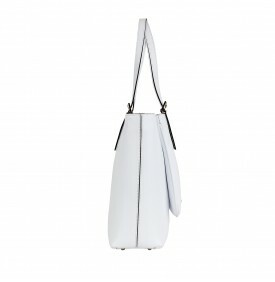 Removable and adjustable leather shoulder strap. 100% made in Italy leather bag. Galvinca nichel-free light gold color. Preserved in the appropriate cloth bag. 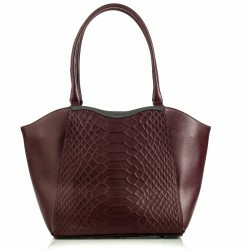 Shopping bag in python printed leather, bordeaux color. Zipper clousure. Zipper inner lining and cellphone pocket. 100% made in Italy leather bag. Galvinca nichel-free gunmetal color. Preserved in the appropriate cloth bag. 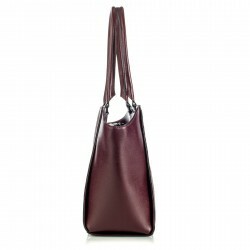 Shopping bag in soft bordeaux patent leather. Zipper closure. Removable leather shoulder strap. Inner lining with zip and mobile phone pocket. 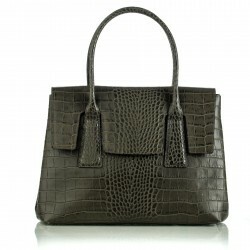 100% Made in Italy leather bag. Galvinca nickel-free gunmetal color. Preserved in the appropriate cloth bag. 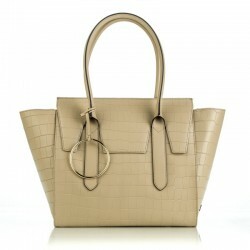 Leather shopping bag with crocodile print effect, olive green color. Zipper clousure. Zipper inner lining and cellphone pocket. 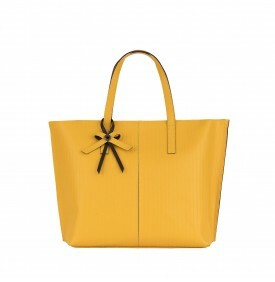 100% made in Italy leather bag. Galvinca nichel-free gunmetal color. Preserved in the appropriate cloth bag. 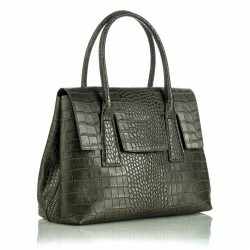 Leather shopping bag with crocodile print effect, olive green color. Zipper clousure. Removable leather shoulder strap. Zipper inner lining and cellphone pocket. 100% made in Italy leather bag. Galvinca nichel-free gunmetal color. Preserved in the appropriate cloth bag. 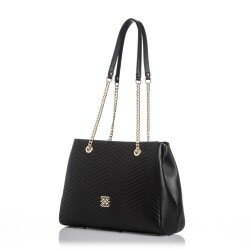 Black quilted tassel leather Shopping bag. Internal zipper. Metal front logo. Zipped inner lining and cell phone pocket. 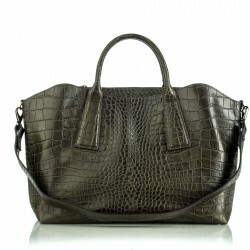 100% Made in Italy leather bag. Galvanic nickel-free light gold color. Preserved in the appropriate cloth bag.